I have been sorting my legos by part. 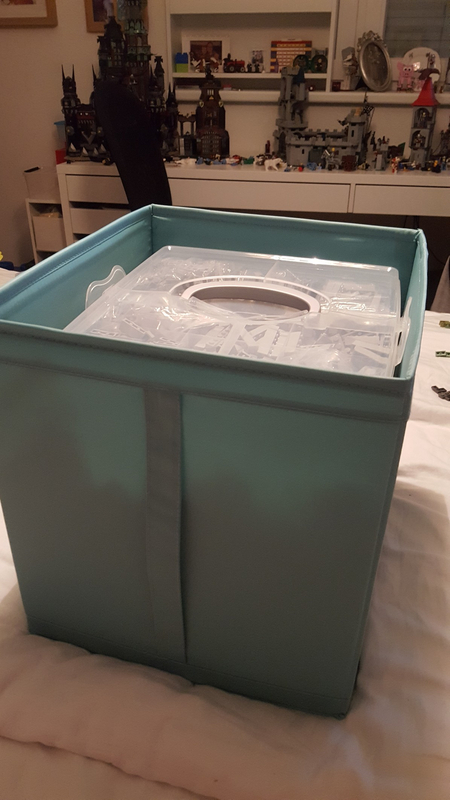 I bought a container that has drawers but I would need a lot of them for the amount of legos I have. 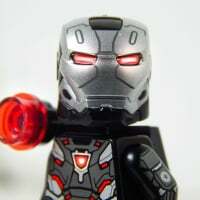 I am limited in space. Any suggestions on what I should get? I want a drawer for each part and noticed that some of my 1 x 1 parts are in two to three drawers. Please help with any suggestions. I also want to be able to expand if I get more of the same parts. I sort by part initially, then, if I run out of space in that particular drawer, by colour within the part. I often combine colours rather than waste space sorting them individually. Maybe browns/greens/tan in one drawer, dark/light grey and black in another and so on. And the brickarchitect.com site suggested above by @TheOriginalSimonB is a huge help, especially the drawer labels. Never sort by colour, you will forever regret it! 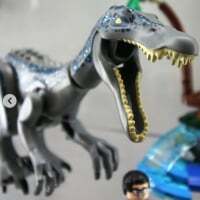 Change the color to black and you have the ultimate nightmare. Now imagen the box to also be black. And compartimented at 6x6x6 cms. that’s my situation at the moment. In transition to a system with sorting by part and using ziplocks for now. Looking for a decent drawer-based system. Sort by colour AND part. Each element type in its own compartment in a larger box of a single colour. If you build things that use specific colours, you'll want easy access to all the parts in that colour. Otherwise to build something in a given colour you need to open ALL your containers. That is what we do too. We use stacking Plano fishing tackle boxes. I started using them in the 1990's, when our collection was small. I sorted by type then, and my son switched everything to color 10 years later. His sorting works better than mine, and our Lego room looks nicer too. I got around to taking a photo of my storage solution. 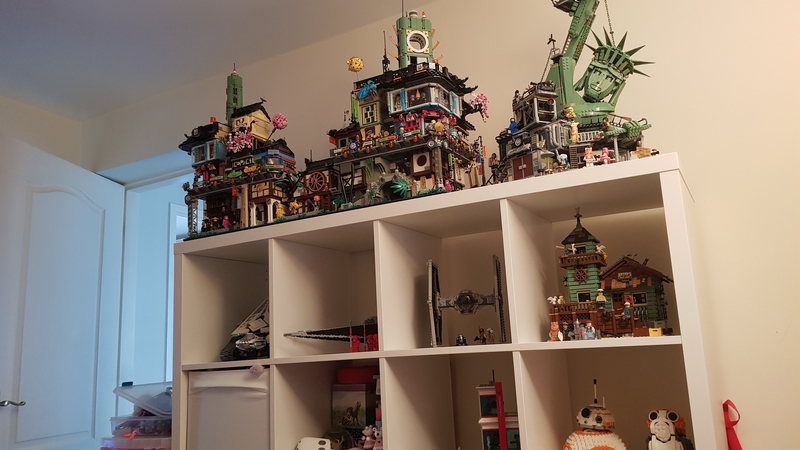 I don`t have a Lego room, but my desk and storage is in the master bedroom! Yes, yes, my wife is VERY accommodating! We have 2 kids and live in an apartment so there`s not much choice really. The only thing that she asks is that it doesn`t look too much like a Lego storage room. So my Lego is in material boxes and chest-of-drawers. I`ve gone through all of the phases of sorting that are described by people (colour, part etc). 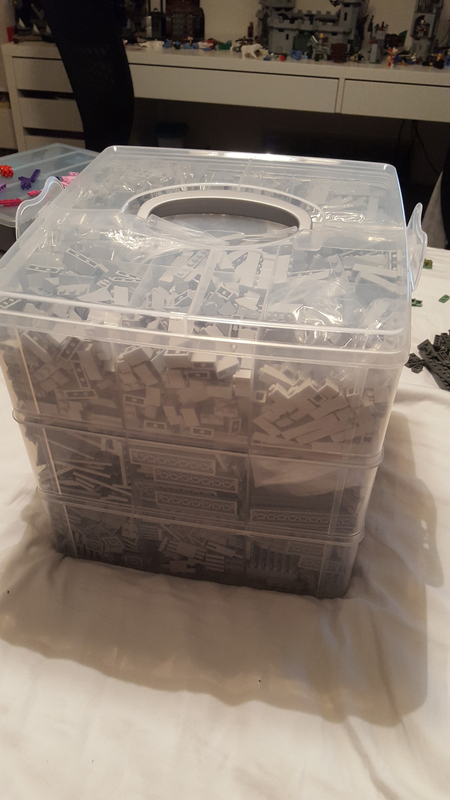 This Christmas, our local super market were doing 50% off of the Bauble boxes and this has been revolutionary in changing my Lego storage. I have my main bricks sorted by colour with each compartment housing a different Lego element, or very similar sized elements. A few things in bags and laying on top. 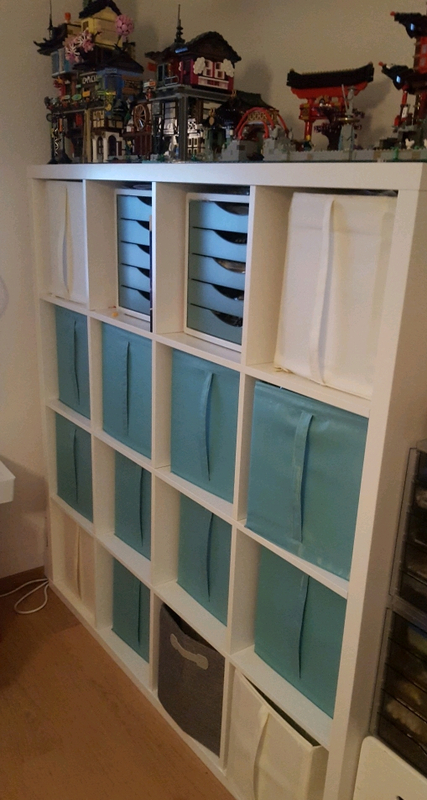 These trays snap together and 3 on top of each other fits in the IKEA storage boxes, with some room for larger pieces to go in bags down the side. This solution really helps when building - easy to get out and pick the bricks for the same colour and easy to put away and keep tidy. 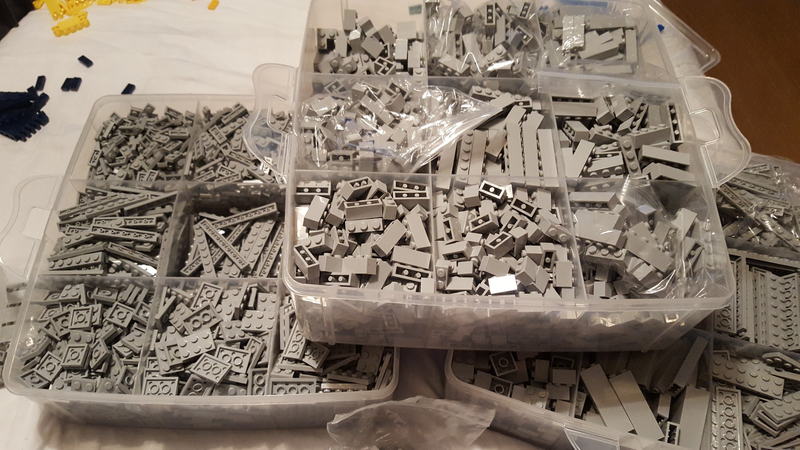 Previously, everything was in bags so getting pieces took a long time! My smaller pieces are in the trays, and tiles, modified plates etc are in 2x large chest-of-drawers. I can take photos another time. I am literally forever sorting but I have almost finished....! @msanders - for a moment i thought someone had posted a picture of my shelving unit. I guess we aren't the first people to put Ninjago City on top of that unit though. Until recently Ghostbusters HQ was where Apocalypseburg now is. I was wondering if anyone has turned this unit on its side and removed one of the (currently vertical) inner panels to allow for a much taller model (i.e. GBHQ) to fit into the now double-height compartment. did I spot the disney castle of orthanc? A number of new pieces have since been released with recolours (mainly in sand green) that I have begun substituting so the Castle is forever evolving. I was wondering if anyone has turned this unit on its side and removed one of the (currently vertical) inner panels to allow for a much taller model (i.e. GBHQ) to fit into the now double-height compartment. We have done it on a 2x4 unit having the double running horizontally (So unit sitting tall) and it's easy enough as long as your double height one is on the edge. We've done that, but not for Lego - we put in one of those extending wardrobe poles and use it as a place to hang my little girl's dresses. It's easy enough to do, you get a couple of holes left where the dowels would usually be but they're easy to cover. Plenty high enough for a tall model!